What have you been up to this week? I confess, I’ve had one foot in Fantasyworld (or rather, in the Happiest Place on Earth) and the other in the quagmire that is the last month of the school year. Will it ever end? I suppose that’s counter to the prevailing notion that summer break is the tough part of we parents. But homeschooling. Changes. Everything. And so, we will be happy when our days become a little lazier, and our hardest decision is whether to head to pool or beach. In the meantime, there’s work to be done, sweet to search out, and captivating to, well, captivate. With. So, let’s get to it! 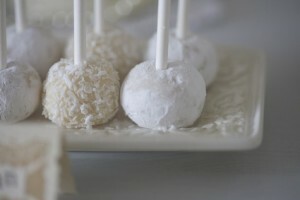 We’ll start by recapping all the lovely and adorable we featured this week on A Wedding Cake Blog. Monday, we truly were somewhere near Oz with this incredible Rainbow Wedding Cake. On Tuesday, we featured this meticulously executed Square Box Wedding Cake. We featured another a lovely and unique Wonky and Whimsical Cake on Wednesday. A truly stunning Hand Painted Cake made the blog on Thursday. And finally, on Saturday we featured a part two of sorts from our Wednesday post: the corresponding Lobster Groom’s Cake. Have you ever seen a wooden wedding band? Me neither! Thanks to Borrowed and Bleu and Bailey and Brian’s wedding, now I have! Bravo Bride is covering a hot wedding trend: convertible wedding dresses, for the bride who wants a different dress for wedding ceremony and reception, without the hefty pricetag to match. Worried about rain on your Big Day? Take a look at this lovely post from Time to Drink Champagne, and don’t be. What’s with celebrity vow renewals five minutes after the first ceremony? Here’s another one: Nick Cannon and Mariah Carey. I am a little jealous of the Eiffel Tower part. This is destined to go down as one of my most favorite weddings, ever: by Rock the Aisle, an elopement at the Biltmore in North Carolina. And the bride wore brilliant blue. Truly fantastic. You know that throw-your-hair-up-on-top-of-your-head thing we all do? It has a name! And tutorials! Boy, am I glad to see this…the top-knot tutorial, via Emmaline Bride. Bookmarking for sure!